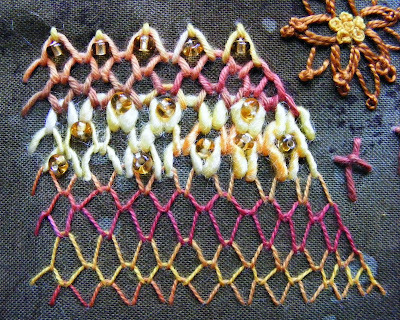 I like this stitch (TAST 2) very much because it is useful for filling surfaces, is easy to do and can be worked in an irregular manner. Great. 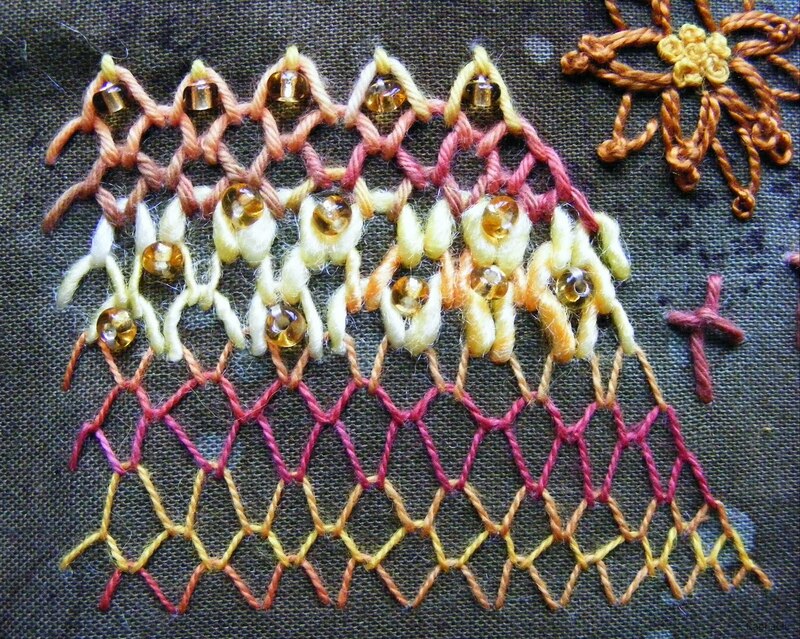 Ich mag diesen Stich (TAST 2) sehr. Er eignet sich wunderbar, um Flächen zu füllen, ist einfach zu arbeiten und kann unregelmäßig gestickt werden. Wunderbar. Thanks for your comments Raphaela. 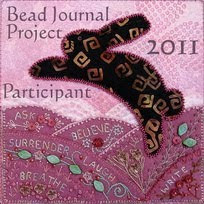 I like the variegated thread you have used on your sample & the beads are an excellent idea. nice sample, i too like the beads. thanks for your visit!